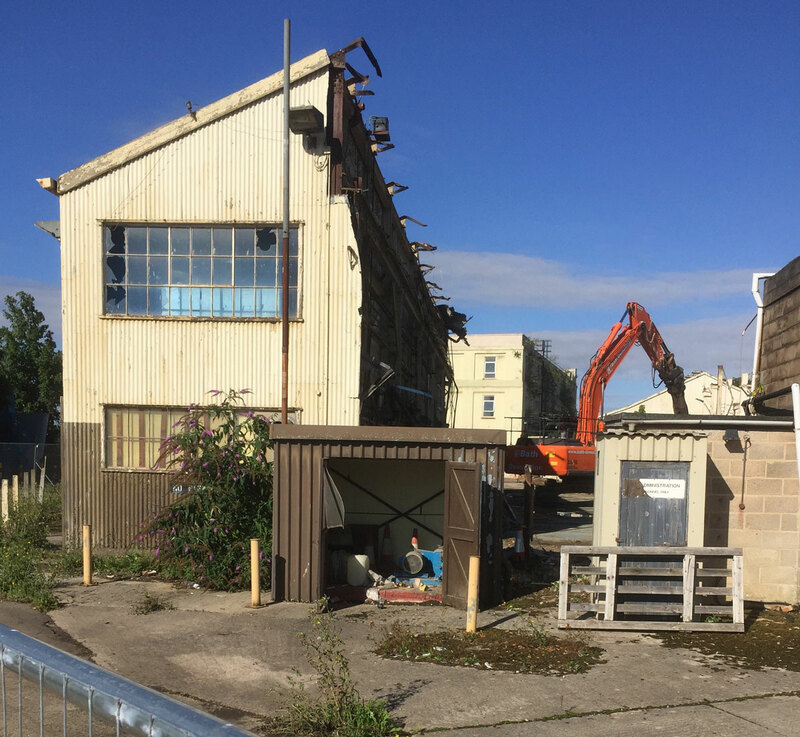 So the redevelopment of the Westinghouse site has started – after a long, painful fall into dereliction for many of the buildings at the west end of the factory. End of an era? Well, possibly, but Westinghouse continually regenerated and developed throughout its existence, reacting to the ebbs and flows of business. 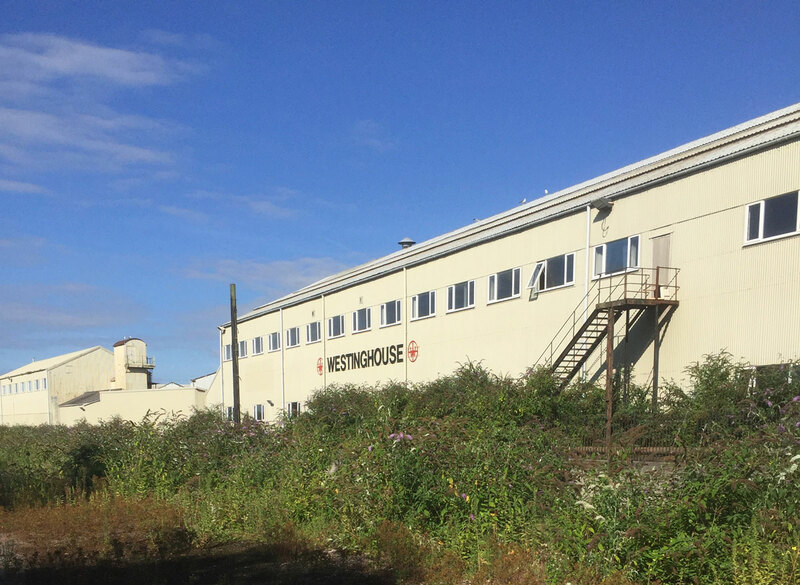 Westinghouse Brake & Signal may have gone, but each of the consistuent companies are alive and well, locally based and employing large numbers of people still. 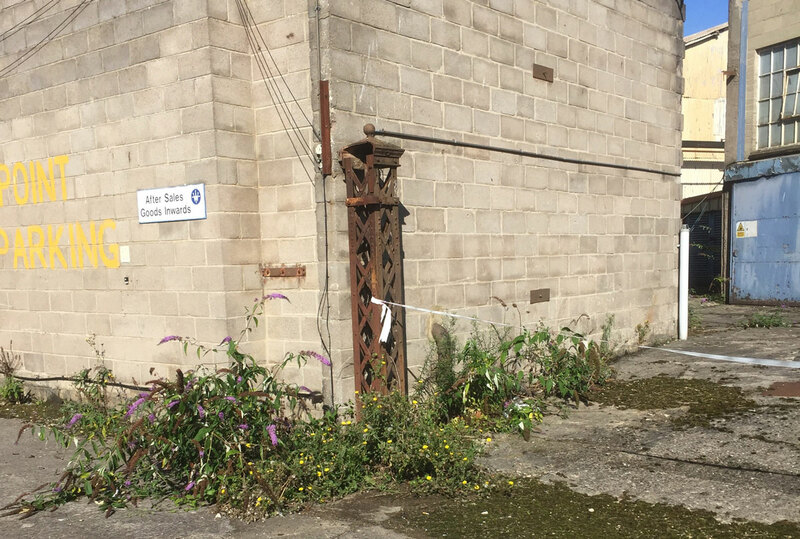 The following photos were taken on a walkaround the site with Chippenham Museum & Heritage Centre, and it’s clear that Siemens, the developers, the contractors and the landlord are all happy to support protection of at least some of the heritage. 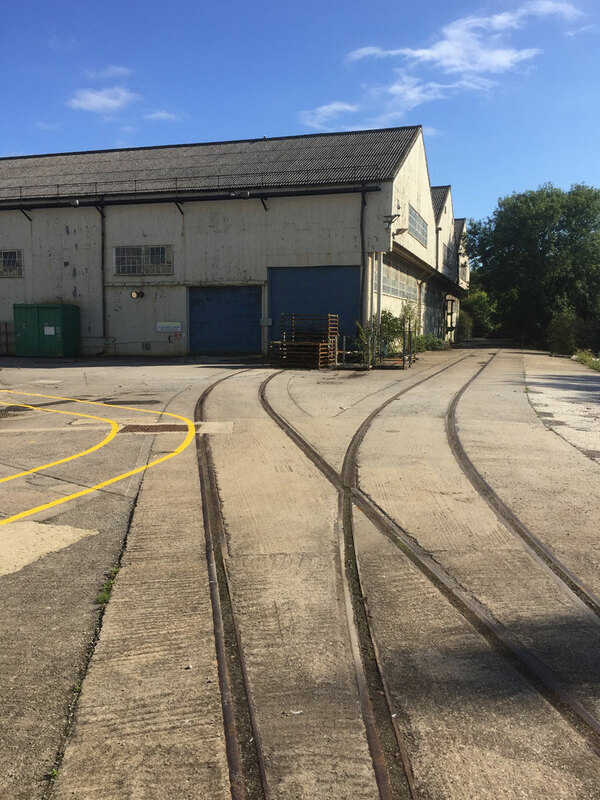 The former Brakes goods in and despatch departments with long-forgotten rail connections to the main line. In later years this area was home to the fleet and garage. 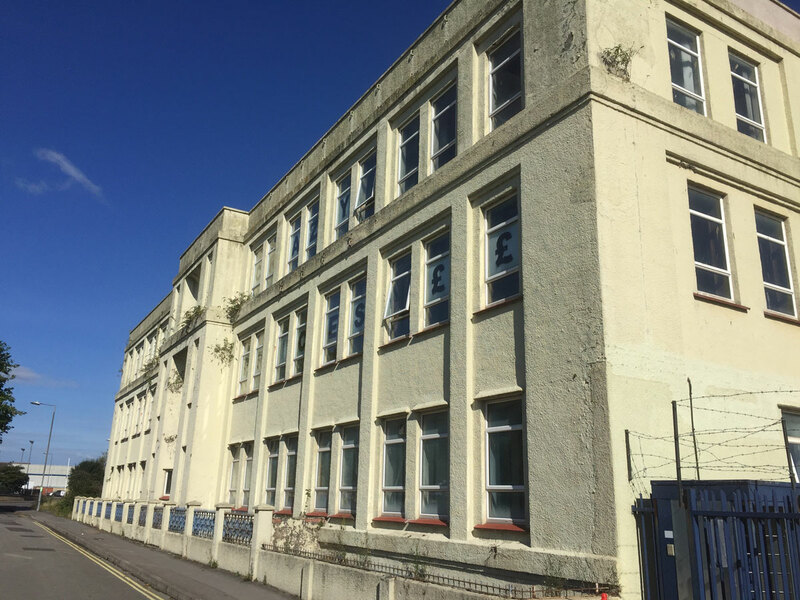 The former Brakes design office with its commanding view across the railway. Interesting lattice-work post – would love to know more of the history of this one. Half of one of the buildings, standing resolutely still despite half being missing. The support girders were giving the wrecking machine some resistance too. 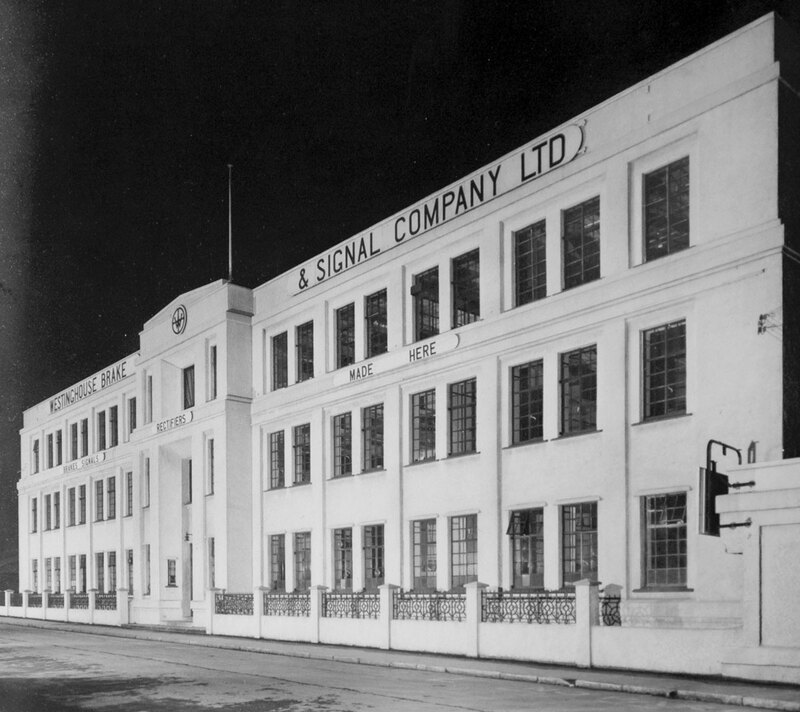 The White House – showing just a little of its former Art Deco glory. Particularly interesting to compare that with a photo from 60 years earlier. And to see that the brackets that held those advertising signs up are still where they were installed decades ago. 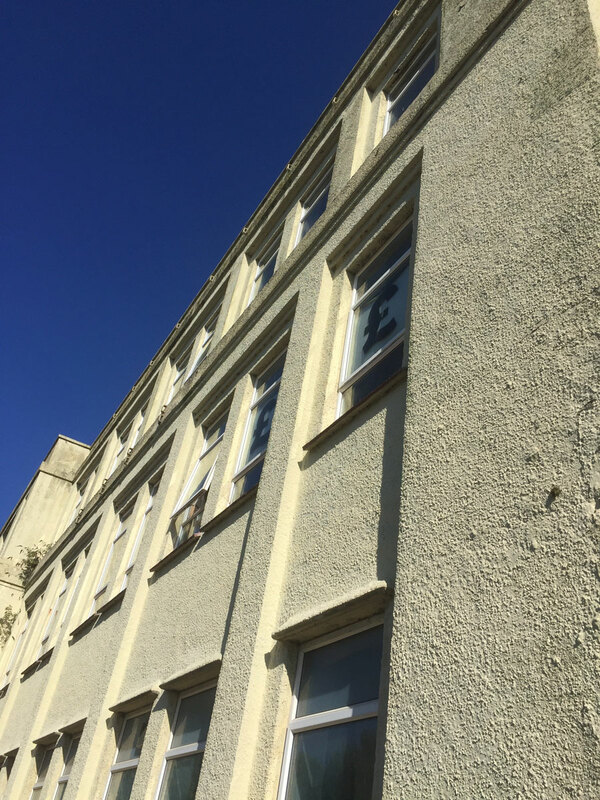 We’ll publish more information about records made of the demolition as they occur. Following on from the wave of memories that have been stirred by the start of this work, Siemens Rail Automation has made use of the internal ‘Social Network’ to encourage people with long memories to write about their experiences on the site. This is in support of Chippenham Museum & Heritage Centre’s ‘Oral History’ project which has recorded interviews with a number of people who still currently work on the Westinghouse site, celebrating what they remember of ‘the old days’, to consider what has changed, and to look at the links between the companies and the town. This is very much a work in progress and we hope to bring you news on this in the months to come. If you’d like to be involved in that project, do feel free to contact the museum.